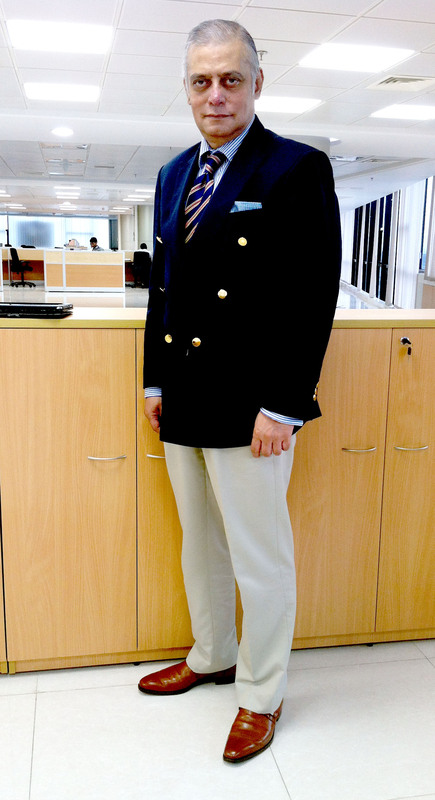 Today is Thursday and therefore dress-down day for me. 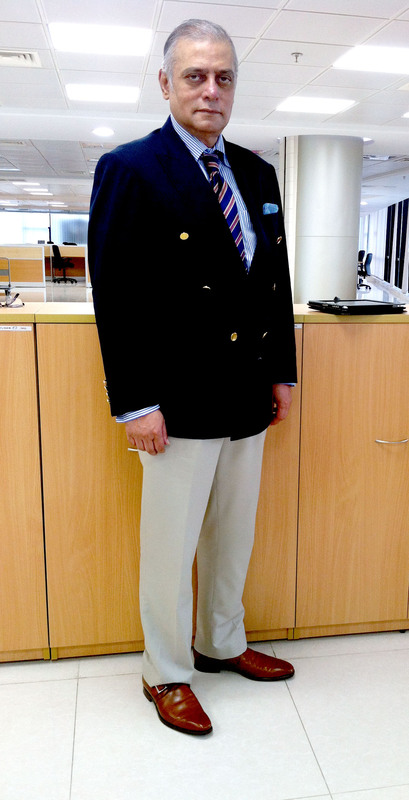 Consequently, I am wearing a blazer/trousers combination. 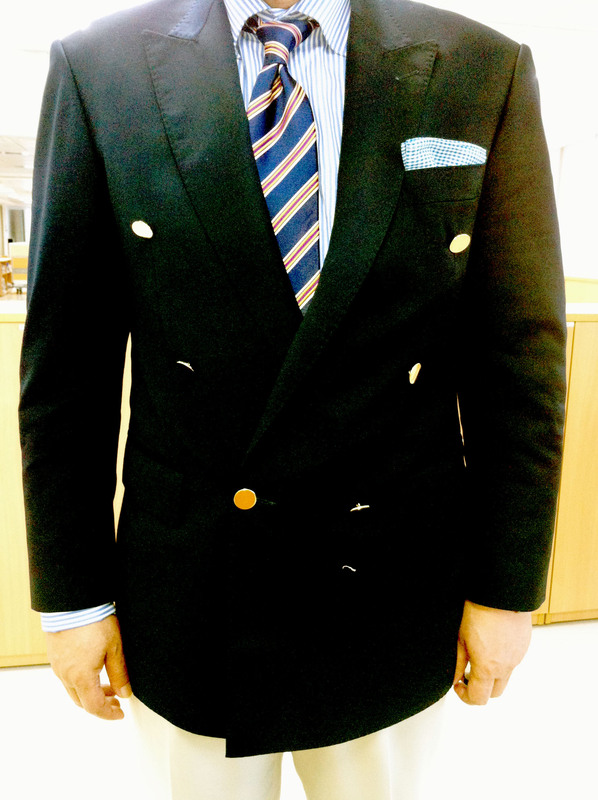 Today’s blazer is Navy, double-breasted, 6X1, with golden metal buttons. 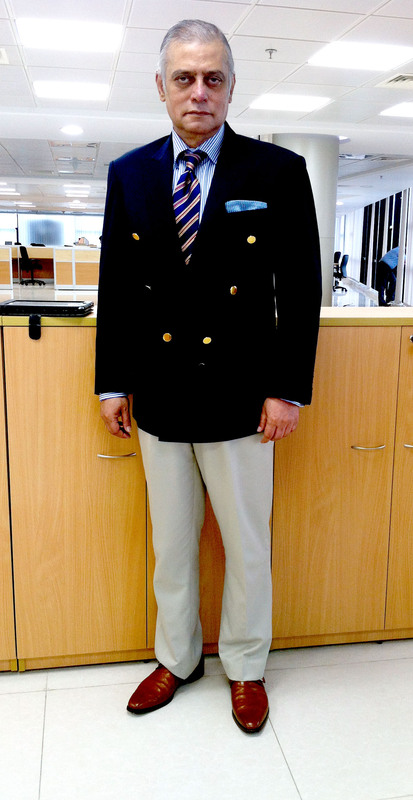 I paired the blazer with a pair of off-white/cream trousers. 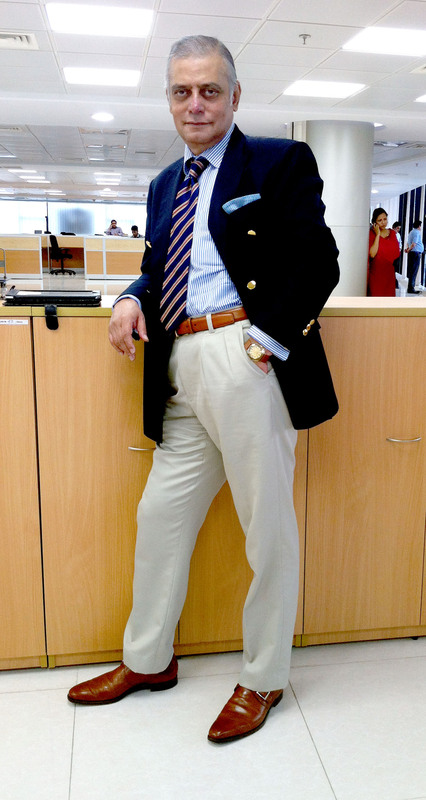 I am also wearing a white/blue striped cotton shirt with French cuffs. Today I am also wearing a striped silk tie in blue/violet/yellow and white. 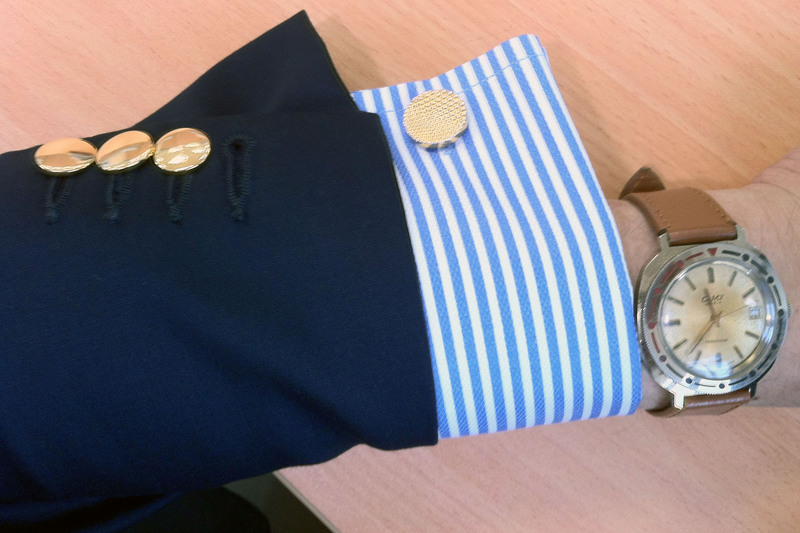 The material of blue/white check pocket square is cotton. The monk-strap (or simply monk) shoes are of chestnut color. 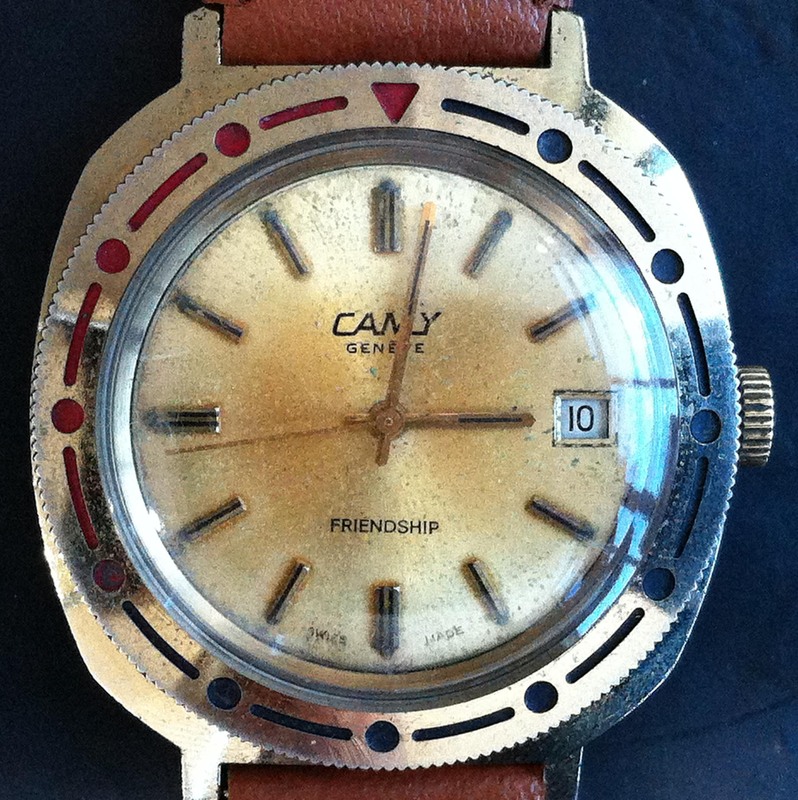 And finally, today’s watch is a 1960 vintage Camy Geneve Friendship with date. This is a manually wound watch.